According to new federal data, Liberty University has the highest number of student defaults at a nonprofit in the state. More and more students are defaulting on their college loans. Michael Pope is digging into the data for Virginia schools. New numbers from the federal government show the highest rate of student loan defaults is at Everest College in Chesapeake – 36% of the students there defaulted on their student loans. That’s a for-profit college once operated by the now defunct Corinthian College, which was shut down after charges of fraud and predatory lending. A spokeswoman for Everest says the business is now in the process of transforming from a for-profit college to a nonprofit organization. But Diane Standaert at the Center for Responsible Lending isn’t sure that’s going to fix the problem. 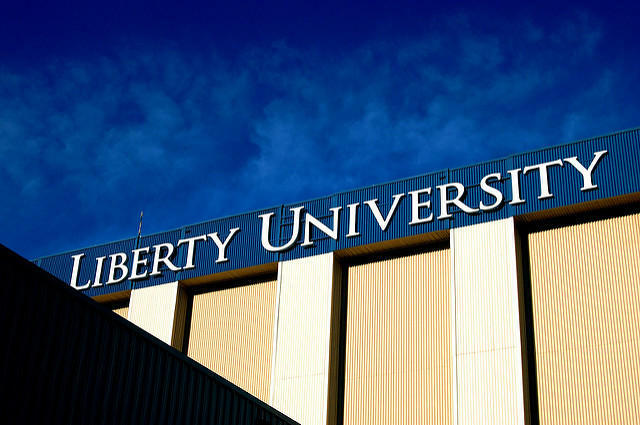 The largest number of student defaults at a nonprofit -- Liberty University, a private college in Lynchburg. About 3,000 students there have defaulted on their loans -- a 10% default rate. Robert Ritz is vice president of finance at Liberty. Advocates for increased consumer protections are pushing the General Assembly to require student loan services to get a state license to operate in Virginia. That effort fell flat this year. But supporters of the effort say they’ll be back next year, when even more students are likely to have defaulted on their loans. Could the State Get Into the Student Loan Business? According to the state, more than half of Virginia college students graduate in debt, half of whom owe more than $25,000. Democratic state lawmakers are now proposing the state step in directly: by getting into the student loan business.